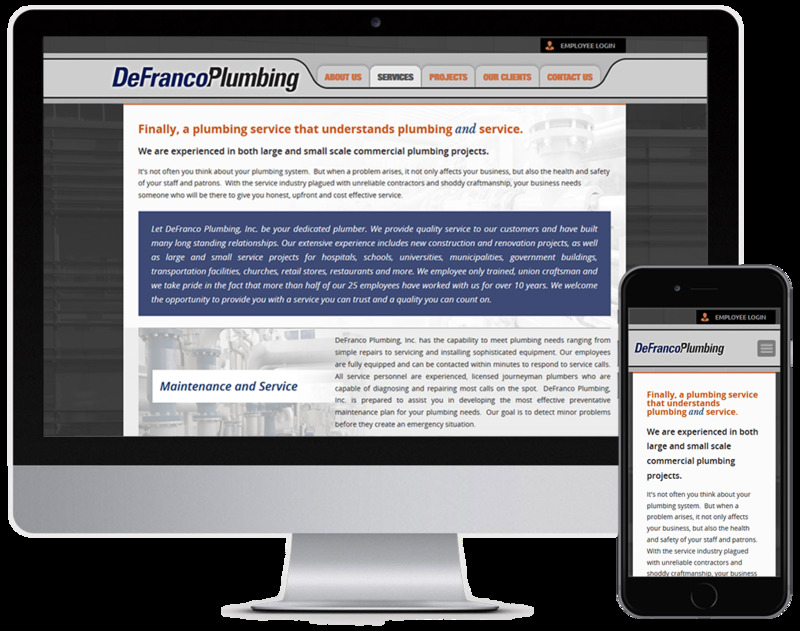 DeFranco Plumbing, Inc. is a 2nd generation commercial and industrial plumbing contractor. 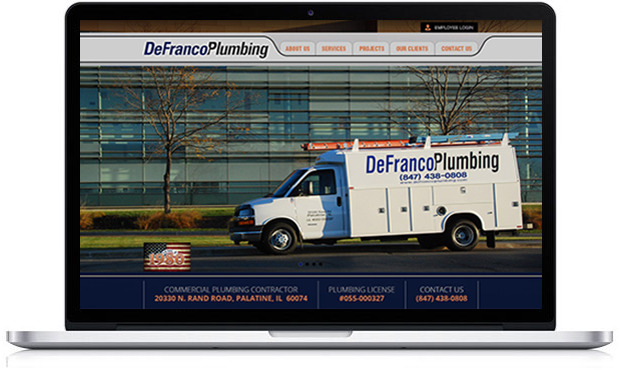 DeFranco Plumbing was incorporated in 1980 and has experienced substantial growth over the years. 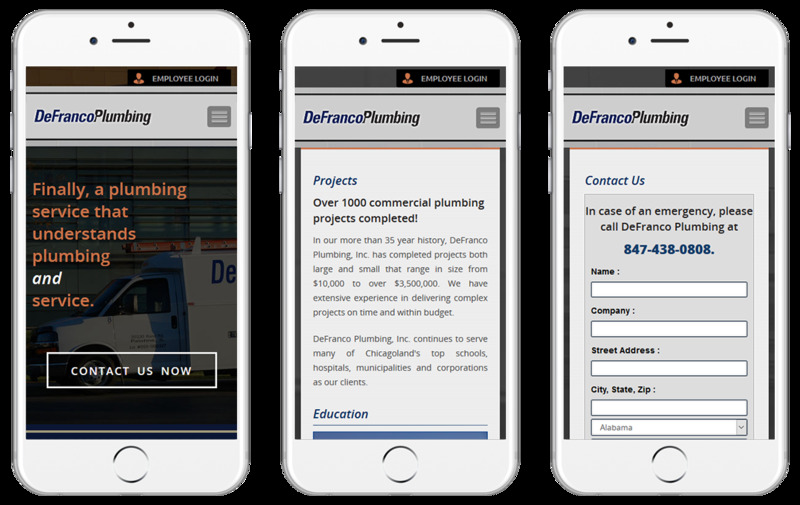 DeFranco Plumbing has the ability to incorporate the commercial, industrial, plumbing & engineering needs of your project. We are able to design, implement, and contract all aspects of your development to provide you with one reliable contact responsible for ensuring individualized attention while delivering the project on-time, on-budget and within safety guidelines. 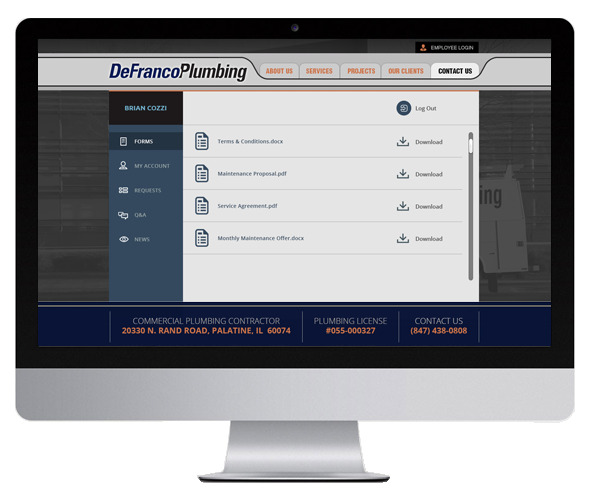 DeFranco Plumbing wanted to create an online hub for their employees to access daily job forms. We’ve given employees the ability to find, browse, and download forms so they can eliminate paperwork and improve communication processes.